The necessity of checklists is a widely accepted in healthcare. While paper versions are routinely used (e.g. within the OR), providers face much greater challenges when it comes to implementing digital checklists to coordinate multiple teams across broader processes, such as discharge. Lumeon’s digital checklists are customizable, easy to deploy and rapidly improve care consistency and care team coordination. They can be automatically distributed to referrers and care team professionals (by role), managed with timers and auto-chasing protocols, and integrated with your EHR. 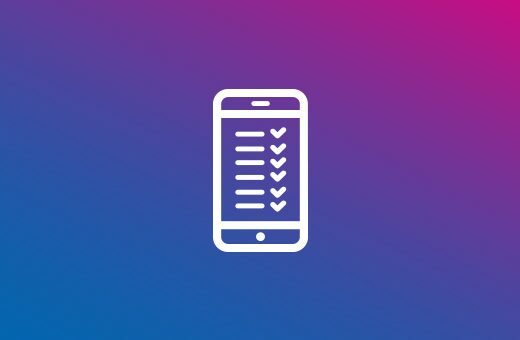 When you are ready for the next step, checklists can also feed real-time updates into a longitudinal digital care plan created on the Lumeon platform. Beyond passively collating data, they can be used to adjust the next part of the care plan, auto-calculate risk scores, prevent unsuitable decisions or trigger longer automation sequences. 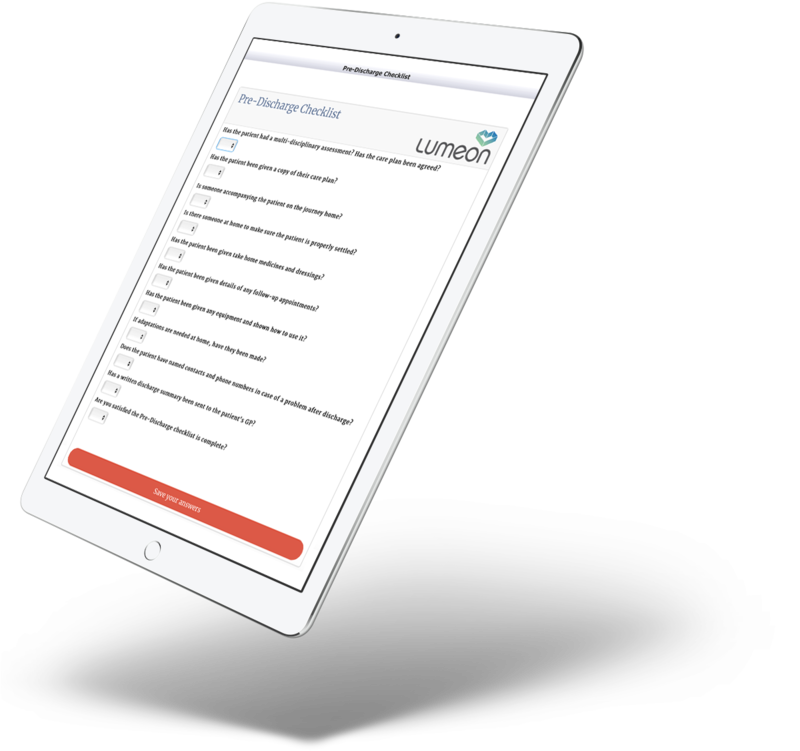 Lumeon’s digital checklist solution ensures care happens in a consistent and timely manner and acts as the perfect gateway to risk-stratified pathways. Create your own question types/ branding/picklists etc. Integrates with your EHR/pathology software etc. Checklists can ensure the relevant care teams complete all necessary assessment and patient education protocols before patients can be discharged. You can withhold the ability to discharge the patient electronically until all checklists are completed and all information entered falls within your desired range. Lumeon’s dashboards and Care team UI show all users which checklists have outstanding activities and which are completed, enabling final discharge consultation slots to be allocated and communicated back to patients. A traffic-light scoring system can also be used to prioritize overdue tasks. You can use checklists as tools for both pre-screening and follow-up care, guiding call center operatives or nurses to run through a series of custom questions with the patient. Assign scores and escalation thresholds to the information entered, so risk is assessed appropriately without wasting clinical time.